Most of software here requires Microsoft .NET Framework 3.5+ to run applications. Simple Half-Life Data files viewer and editor (for WADs and Sprites). You can also extract images to many formats (png, jpg, bmp, gif, tiff). Drag and Drop files is supported. You can also fix sprite files or create new sprites. 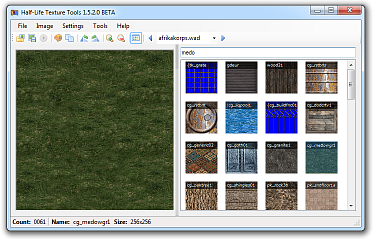 This software uses the FreeImage open source image library. See http://freeimage.sourceforge.net for details. Short long links using this application and Google goo.gl service. You can short multiple links at once. It's easy and fast! 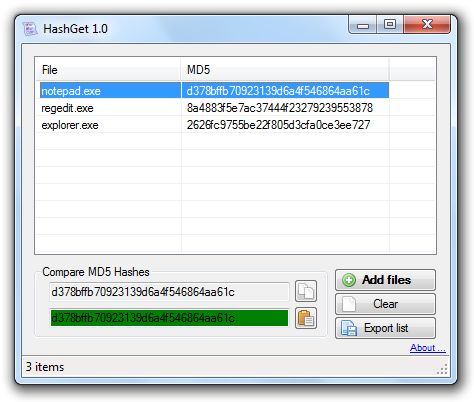 Calculate and compare MD5 hashes of files. 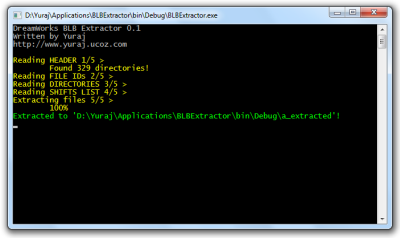 You can export MD5 list to text file. Also you can simply Drag and Drop files into window and executable! Free simple window designer. Create window without any libraries and unnecessarily resource dialogs! Just C and Windows API ! Look at example code generated with PWGD. BTW: Don't forget add (xp) manifest file to your application resource files to make your application look better. 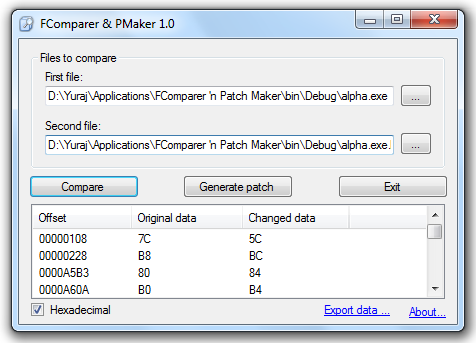 Small Application for comparing files and creating patches. Issues: Maximum of differences in list is 100000 items. Thanks to Valery V. Anisimovsky for his breaking BLB format specification (BLB File Spec.). 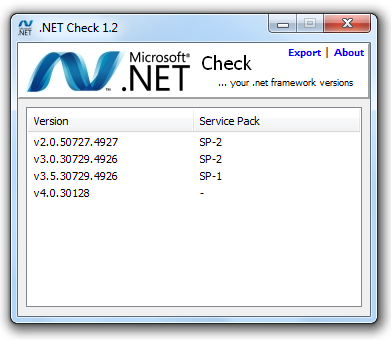 Small Application for checking your .net framework installed versions on your PC.